The Multi-Level Lossy Inductor has two levels: 0 and 1. Level zero models an inductor with parallel shunt resistance. 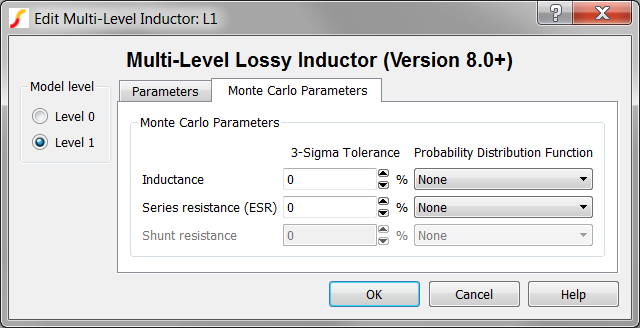 Level one adds Equivalent Series Resistance (ESR) to the model. This inductor is available with Version 8.0 or later. The lossy inductor has a parasitic shunt resistance in parallel with the inductor. This resistance is present in both model levels and limits the high frequency response of the inductor, which in turn speeds up simulations. Simulator: This device is compatible with both the SIMetrix and SIMPLIS simulators. 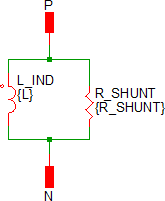 The shunt resistance in parallel with the inductor. This resistance is included to limit the maximum frequency response of the inductor, which maximizes the simulation speed. If unchecked, the inductor is a short circuit at time=0. Use Quantity? 0,1 n/a If checked, the model uses the specified Quantity of inductors in parallel. Number of inductors in parallel. The Multi-Level Lossy Inductor has two levels: 0 and 1. Level zero models an inductor with parallel shunt resistance. 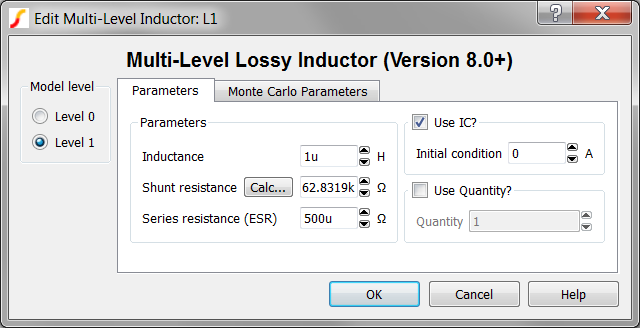 Level 1 adds Equivalent Series Resistance (ESR) to the model. Level 0 models an inductor with a parallel shunt resistance. 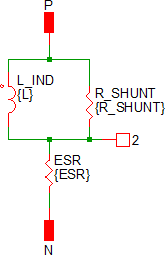 Level 1 models an inductor with a parallel shunt resistance and an equivalent series resistance (ESR). The Multi-Level Inductor model has two quantity parameters, USE_QTY and QTY, which specify the number of inductors in parallel. Configuring these parameters minimizes the number of reactive circuit elements in the model and, therefore, provides a maximum simulation speed. The implementation of the quantity parameter uses a "DC Transformer" technique where the inductor's terminal current is multiplied by a constant using a Current Controlled Current Source (CCCS). 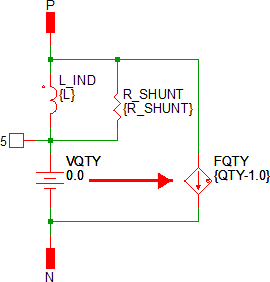 This technique effectively divides all resistance and inductance values by the quantity parameter (QTY). This circuitry is added if the USE_QTY parameter is set to 1. In SIMetrix, the quantity parameter is implemented with the "M" parameter which is common to the primitive SPICE components. This improves SIMetrix simulation speed and correctly scales resistances for noise analysis.